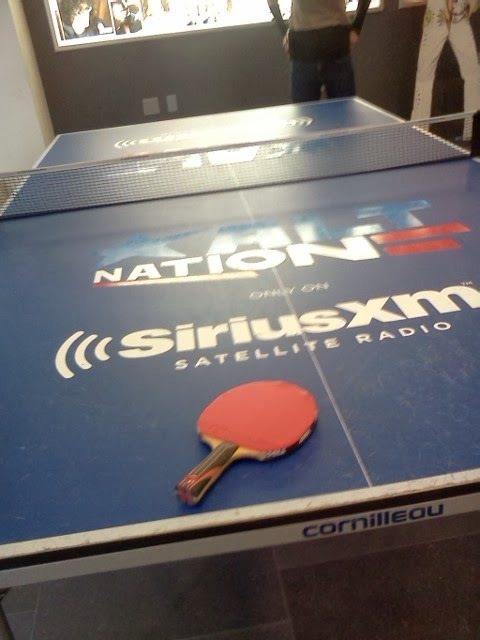 I had a unique opportunity to check out the workspace at SiriusXM Radio Inc. in New York City today. SiriusXM boasts over 25 million subscribers and is one of the most popular satellite radio channels in the US, particularly in the New York area. I made it up to the 37th floor (where the TT Table was) which I believe may be the top level. This is where the main studios are and I was told that even artists like Eminem and Jamie Foxx have their own studios here for their own radio segments. Turning around from that studio of course I noticed the table tennis table which had the logo printed on it. Having been taken there by a friend from table tennis I was reasonably well prepared for a little hit around, just casually. Ironically a little casual hit drew some attention from the staff and we attracted a small crowd of individuals who wondered who we were. Someone even asked if we were here waiting for a radio appointment or something. 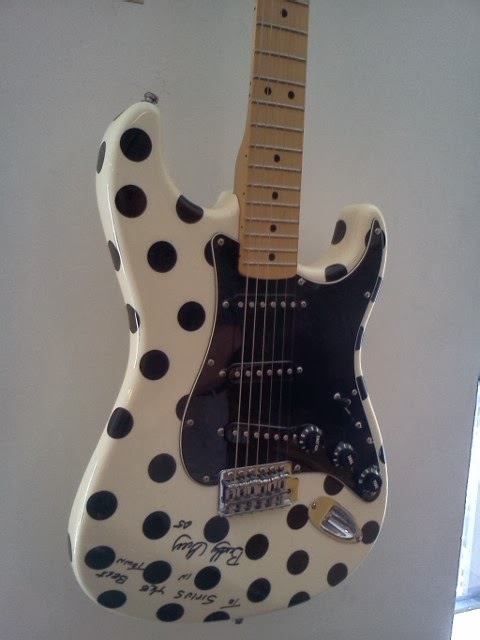 Buddy Guy's Electric Guitar at SiriusXM Radio Inc.